And I think that’s great. Having your own business (and two or more) seems to be the ultimate solution to a journey towards fiscal freedom. How would you like to to be able to use something you know (email) to not only start an online business but also have its costs paid, from that business itself? If you happen to have some money to invest in setting up a business, but you’re not sure if that idea, for that business, it’s going to work for you? In other words, understanding that all business entails some risk, how can YOU ensure you take the lowest risks possible without losing your money? Now, I want you to imagine, for a moment, having the ability to set up an online business and generate revenues within weeks, if not days. Imagine having the ability to see what’s working, or not, within 24 hours from implementing an idea and if it does, scale it. And if it doesn’t, re-work it and have a go at it again. Don’t you think the ability to see things through like that would make all the difference in terms of setting up a business and low the risk as much as possible? I think you’d agree with me that it would. In case you’re not familiar with bootstrapping, this how I’d like to define it…Bootstrapping is basically a strategy where you spend the absolute minimum to get a return and you re-invest that into the progressive development of a business until that business makes profits. The goal of bootstrapping is that the business funds itself! Using the concept of “bootstrapping costs” and Email Marketing as the medium, I’ve managed to set up and run successfully a number of different businesses. Some worked great. Some didn’t. The success of those businesses or not it’s not what’s important here. What’s important however, is the ability gained to bootstrap my business costs by taking action and see results immediately. Want to know how I got the ability to do that? I’ve developed a framework. And I did that so I can systematize the process and make it repeatable. So I can use it when ever I wanted to setup a new business! The 1st example is about an information business. This business has operational costs of around $2.5k per month. Costs include servers, email service providers among other and 2 staff running and managing it (part time). It generates around $7k revenues per month. Let me give you another example…. This one operates in the consulting market. And here’s a 3rd example from a little software business I run. Are you starting to see a pattern between costs and revenues? I don’t mean the actual numbers (costs, revenues) as these will differ depending on the size of the business and market. I am talking however about a very important ratio. Well, If you’re paying attention you’ll notice that the costs to revenues ratio is 1:3. In other words, for every $1 I spend I get back $3. 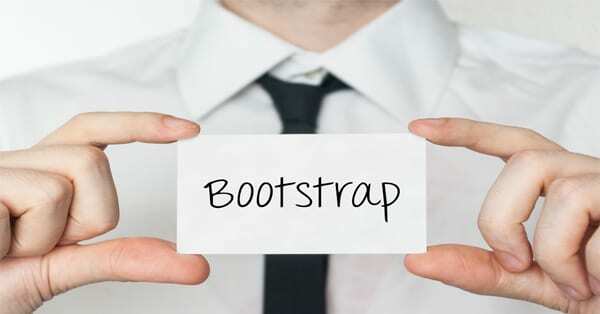 I’ve developed the Bootstrapping Framework so I can use it when ever I want to Boot-Start any business, in any niche, REGARDLESS of fiscal situation around the world! I use 3 Bootstrapping Strategies, that work in the online world like a charm, regardless of the latest trend(s). 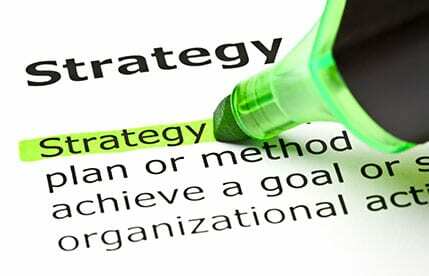 The BOPS Strategy – in a nutshell, this is about selling other vendors products on a commission base. The BTSS Strategy – this is about selling email traffic to people that want targeted visitors to their landing pages. The BPSS Strategy – this about selling own products online. I start with the BOPS Strategy (which is about selling other peoples’ Products & Services) until I get to $1k per month. also covers my lead generation activities (such as buying traffic etc) for that business. I buy email solo drops (solo ads) from Facebook and places that are dedicated in selling solo ads like this one here, if I don’t already have leads in that market. I only want 1000-1500 leads/prospects at this stage to test different offers out on how they convert. (By the way, If they do convert, I start thinking about developing my own product in that market). I then start using the BTSS Strategy (this is about selling -email- traffic to others) combining my own list of subscribers and other people’s lists (using something called Solo Ad Brokering). I do this using email marketing and send them free offers that I know they will appreciate as these will be related to the topic they joined my list initially. It enables me to bootstrap the costs of hiring at least 1 staff to manage that side of the business. And because I usually hire them on a commission base (for that role) the $2k quickly become $5k+, not very long after. Then I top it all up by using the BPSS Strategy (which is about selling your own products) as a vendor using mainly ready made products that can be edited from other people. These will be products related to the niche my info business is in and will be products that come with PLR/White Label licenses. This is so I can re-brand them and sell them as my own products under my own branding. This adds anywhere from $2k-$10k in my revenues per month in addition to the revenues from the other 2 bootstrapping strategies. This last income stream then enables me to hire a developer (on a per project base) where I take the top 3 selling products (which I have identified using the BOPS strategy) and create a unique brand new product that enhances existing products in the market. What’s important to understand here is that this framework can be used every time regardless of the niche I want to get into. The (other) key thing to take a way from this post is that it doesn’t matter what business idea you have or in what market. This is so, because the bootstrapping framework I’ve developed needs only to be applied in one niche! Now, if you would like to know the -what I call-“Holy-Grail” niche and get more details on how to start using this framework for bootstrapping the costs for your online business, I’ve recently made a new case study workshop video walking you through How I Pulled Myself By The “Bootstraps” To Go On And Create 3 Online Businesses Generating Revenues Selling Services…Without A List, Without A Website, Without a Product and Without ANY Cold Calling or Cold Mailing! 1. The “Holy-Grail” Market. That is the One Market You Can Use To Bootstrap Any Business (in that market or another!) And/Or Supplement Current Revenue Sources. 2. A Quick and Low Risk Bootstrapping Framework to get you starting ANY Online Business with minimum costs, test the waters and scale if successful, in as little as 24h from starting. 3. The 3 Strategies and business models I use, to self-fund any online business, and how you can use them too. Ether way, it’s been a pleasure writing this post for you (like I always do) and I hope you’ve found it useful. If you have any comments, questions or remarks please leave a comment below and will get back to you (usually within 24 hours).